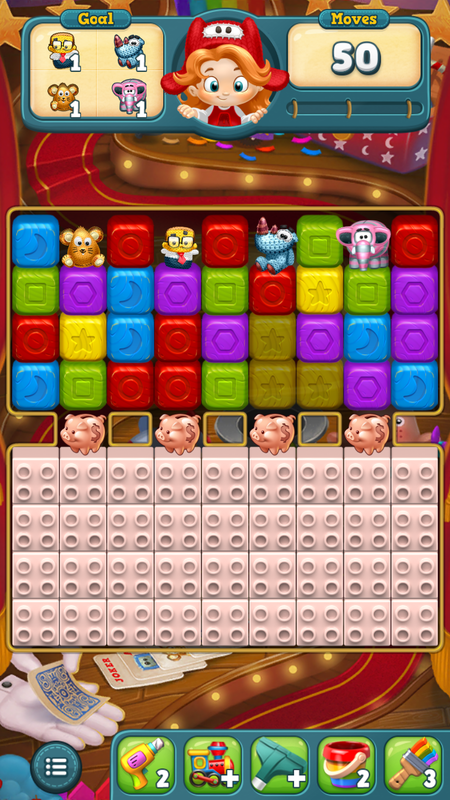 Contain the ice either by making clearing blocks next to it a priority or by blocking out with the piggy banks. Be sure to clear the ice from top to bottom as much as possible, so that you have more possible block combinations that will help avoid losing ground. You need at last a couple vertical torpedoes to have a good chance at clearing this level. With two vertical torpedoes and a torpedo/TNT combo, you can clear all the piggy banks and the toy clearing is a few moves away at that point. 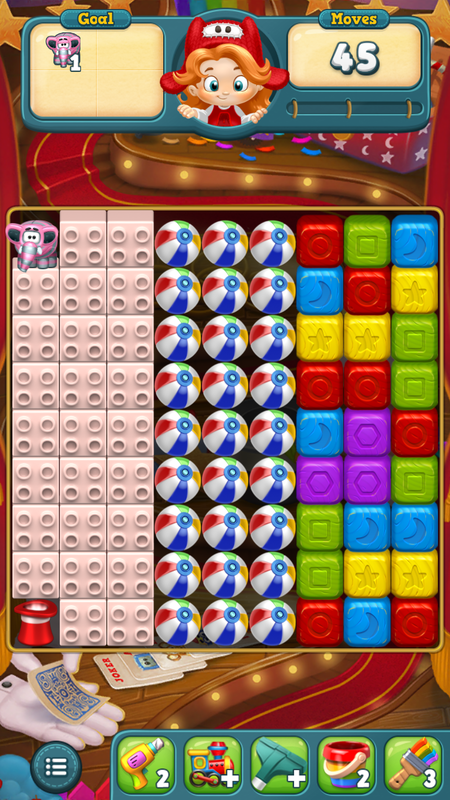 This is one of many levels that can be almost entirely cleared by a pair of Rubik’s Cubes. Beyond that, torpedoes and clears close to building blocks. Clear near building blocks, but keep an eye out for making torpedoes (especially torpedo/TNT combos). You need to be as efficient as possible here. 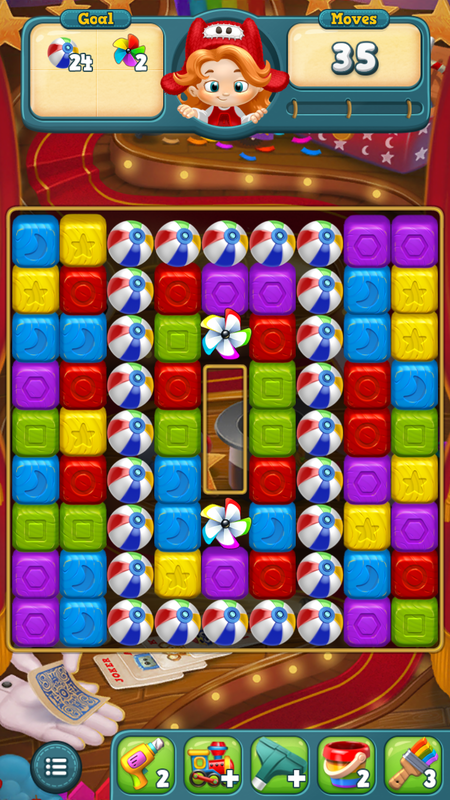 The windmills will 10 moves to clear and there are 24 beachballs… With one move per clear, you have 1 spare move. The best strategy is to clear from the inside when possible, prioritizing uncleared colors next to the windmills. Use the torpedo/rocket items to clear the magician hats quickly. 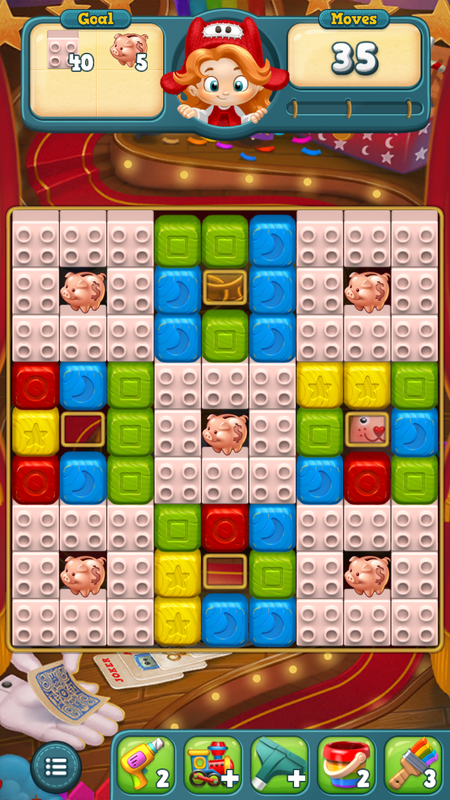 This level doesn’t leave you enough moves to meet the goal if you don’t focus on clearing one side. 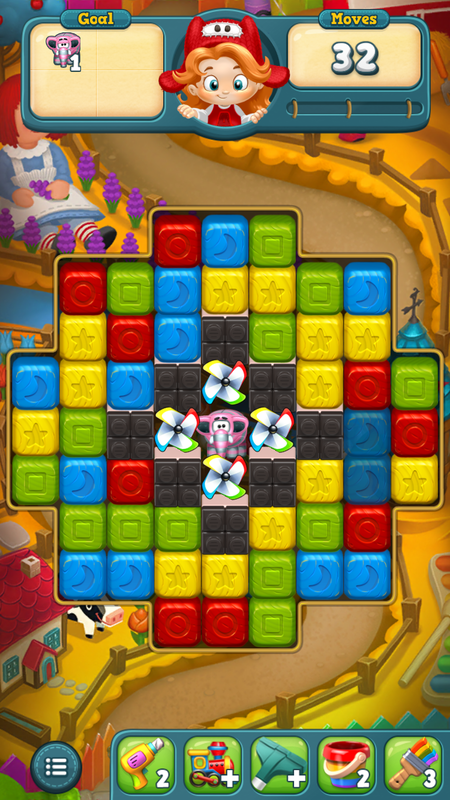 Start from the second level of building blocks on whichever side lets you clear two at a time (right side with the yellow blocks in this case). Clear from that one down to the bottom, hopefully getting a torpedo/TNT combo at some point to speed things along.